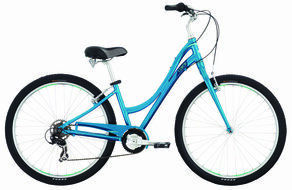 Raleigh's Circa 1 was featured on the Today Show's "Best Bikes to Buy" segment. With a step-through frame and comfort geometry, the Circa 1 is an excellent bike for riding with the family. Editor's Quote: "The important thing is finding the right bike." To view the 2015 Circa 1 click here.